Squeaky bum time! The Indian Super League (ISL) is fast approaching its business end. Time is running out for clubs to make the cut for the semi-finals. The pressure to make their campaigns meaningful has already seen few managers fall by the wayside. 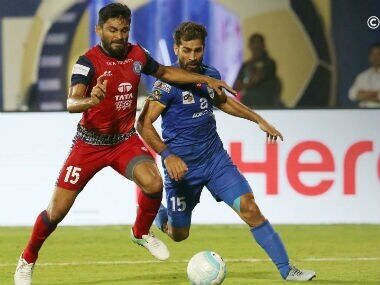 Bengaluru FC became the first team to book a place in the last four, but results in week 15 did little to provide clarity on the other semi-finalists. 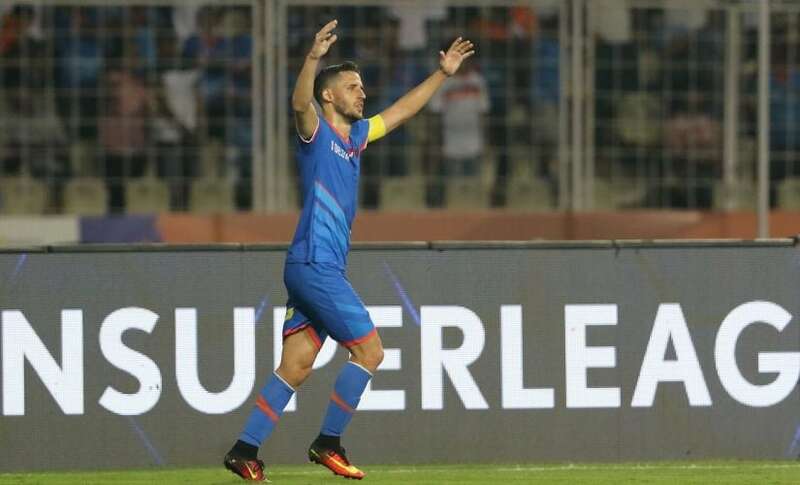 FC Goa's recent slump continued with a defeat against Bengaluru FC, Jamshedpur FC's late-season resurgence gained more momentum with a win over NorthEast United, while Chennaiyin FC got dragged back into the battle for the knock-out spots after a poor week on the field. Another home loss left Mumbai City FC on the brink of elimination as Kerala Blasters were left frustrated by struggling ATK. In a prolonged week that started on Tuesday, the battle for the semi-final spots became tighter by the day. As teams look to make the final push in the final three rounds, here are some talking points from week 15. The Blues from Bengaluru have been going great guns since day one of the ISL, but it was their back-to-back wins in week 15 that truly distinguished them from the rest. A 3-1 success away to Chennaiyin FC — another side that's been a permanent feature in the top four this season — and a 2-0 home win against FC Goa, the league's highest scorers, didn't just handed them the ticket to the next phase, but underlined their credentials as big favourites for the competition. 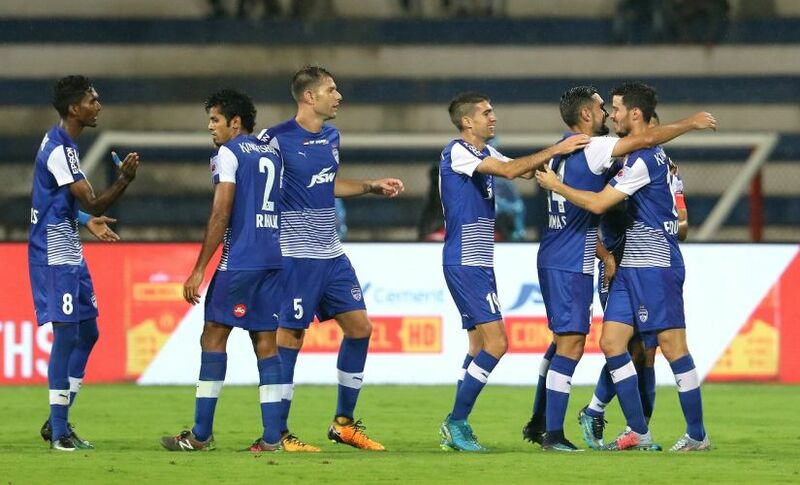 Bengaluru had lost both previous encounters against these teams earlier in the campaign, and their recent wins mean Albert Roca's side have beaten 8 out of the other 9 teams at least once in the competition with Jamshedpur FC, whom they play later in February, being the only exception. The margins of victory against Chennaiyin and Goa could have been a lot bigger had the Blues been more clinical. However, a combined tally of 20 shots on target in these two encounters perhaps does justice to their dominance in these matches. 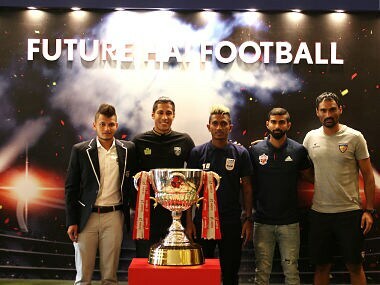 The knock-out stages will be an altogether different ball game, but Bengaluru FC will be firm favourites to contest for the crown in the title clash at the Salt Lake stadium on 18 March, irrespective of their semi-final opponents. Kerala Blasters fans have been eagerly awaiting the moment when Dimitar Berbatov would nestle the ball into the back of the net. Many expected it to be against ATK when the two sides met in the season opener in Kochi, but the moment arrived a few months too late. It did arrive against ATK, but at the Salt Lake stadium, in the reverse fixture. The strike though was worth the wait as the graceful Bulgarian sent a sweetly-struck half volley into the bottom corner to put Kerala Blasters in front in a crucial encounter in the race for the semi-finals. However, what followed thereafter has been the story of Blasters' season so far. Tom Thorpe equalised for ATK ten minutes later to peg back the visitors. There was no winning goal for the south Indian side as Blasters were held for their sixth draw of the campaign. The stalemates have crippled Blasters' season, and the latest one could prove to be the final nail in the coffin for their semi-final hopes. The Blasters have lost the same number of matches as leaders Bengaluru, and one less than second-placed Pune, but have drawn six games more than Bengaluru and five more than Pune. Blasters may still have a chance to reach the next phase, if they manage to convert the draws into win in the next three games, but their fate as things stand lies out of their own hands. Jamshedpur FC have built their team on defensive organisation. Clean sheets have been a hallmark of their campaign so far and Steve Coppell's men are the best defensive unit in the league. But their recent tilt for a play-off place is due to improvements and an ability to find a match-winner at the other end. Jamshedpur managed just two goals in their first six games but in the nine games that followed, the men from the steel city netted 13 times. Another key aspect for Coppell's men climbing up the table is their ability to find different sources for goals. In their last nine games, Jamshedpur have had seven different goal scorers, four of which have netted the winning goals. With three wins in their last three encounters, Jamshedpur are peaking at the right time, but with Bengaluru, Chennaiyin and FC Goa to play in their final three games, they will have to keep up the momentum going. 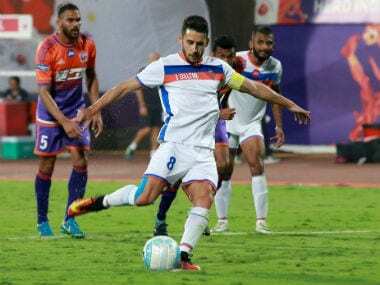 Like Bengaluru FC, it was a fantastic week for FC Pune City who recorded two vital wins away from home to move to within touching distance of the semi-finals. With three games to play, Pune are seven points clear of fifth-placed Blasters and look good to finish off the job in the games to come. A big reason for FC Pune City fans to remain optimistic is their forward Marcelinho. The Brazilian netted the winner in a tight encounter against NorthEast United before giving Pune some much-needed breathing space in the dying minutes of a tense Maharashtra derby. The former Delhi Dynamos man has played a direct hand in 15 of Pune's 27 goals this season, scoring eight and assisting seven. The 30-year-old has been central in making the Stallions the second-most potent force in the league after FC Goa.